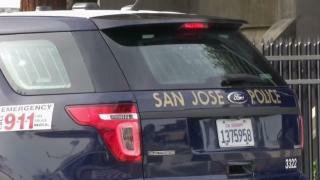 A 19-year-old woman was struck and injured by an SUV in a hit-and-run collision early Wednesday morning in San Jose, according to police. The woman was near the intersection of North Capitol Avenue and McKee Road when she was struck by a 1990s-era, light-colored SUV, believed to be a Chevrolet Suburban, according to San Jose police Sgt. Enrique Garcia. The collision was reported at 2:18 a.m. The woman was taken to a hospital and is in stable condition, Garcia said. The vehicle, driven by a man, fled the scene. The motorist hasn't been identified. Anyone with information on the case is asked to call San Jose police at (408) 277-8900.